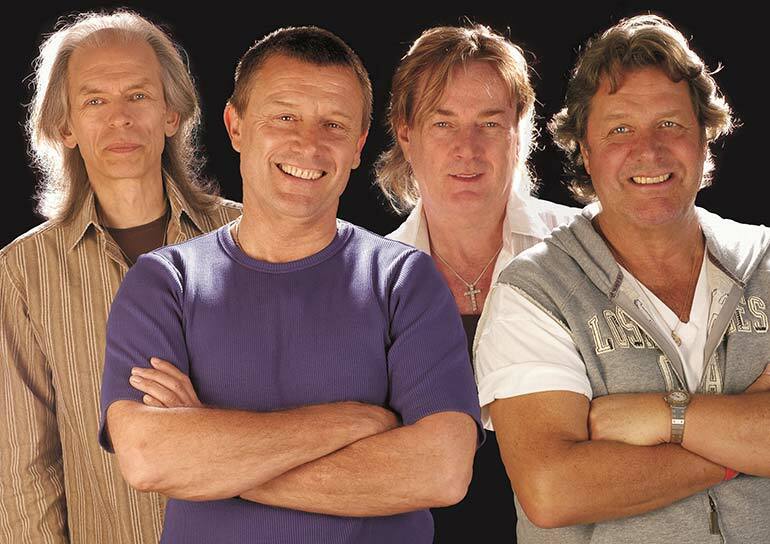 The family of late rock star, John Wetton, has raised over £3,500 for Macmillan Caring Locally, to have his name in lights at 'Light Up the Prom' on Bournemouth Pier Approach, on 20 October. The name of the late John Wetton, co-founder and frontman of the 80s’ super-group Asia, will be displayed in fireworks as part of ‘Light Up the Prom’, Bournemouth’s biggest memorial event in aid of Macmillan Caring Locally and Bournemouth Hospital Charity. To see his name appear in lights, John’s family has raised over £3,000 through JustGiving in aid of the Macmillan Palliative Care Unit at Christchurch Hospital where the rock star spent his last days. The funds raised by the Wetton family will go towards rebuilding the Macmillan unit at Christchurch Hospital which is in desperate need of expansion. As co-founder, front man and principal songwriter of the super-group, Asia, John was one of the world’s most renowned singers in the 1980s. The band’s debut album sold eight million copies and was Billboard Magazine’s No 1, spending nine weeks at the top of America’s album charts, in 1982. Run by the independent charity, Macmillan Caring Locally, the Macmillan Palliative Care Unit provides specialist end of life care and support to families, carers, and friends. As part of their fundraising efforts, the charity co-organises the annual ‘Light Up the Prom’ event, along with Bournemouth Hospital Charity. ‘Light Up the Prom’ will be held on 20 October, on the Bournemouth Pier Approach. It will feature hundreds of lights illuminating the prom, followed by a dazzling firework display and a musical performance from the Bournemouth Male Choir. Each year, as part of the festivities, they have a loved one’s name displayed in fireworks. This year, it will be John’s name. John’s widow, Lisa, said, “We are thankful that the fireworks have been sponsored, as all money raised will now go directly to Macmillan Caring Locally and the Royal Bournemouth Hospital.” She added that his family were happy to raise the sum for the charity that had been close to John in his last days. Lin Sharp, capital appeal director for Macmillan Caring Locally, said, “We are overwhelmed by the incredible support from John’s fans. We will be forever grateful to Lisa who set up the donations page and raised this phenomenal sum to help us fund the new unit. Light up the Prom is a wonderful memorial event and John’s name in lights will be a fitting tribute to this incredibly talented man. We are grateful to all John’s friends and fans who donated to Lisa’s Just giving page.